Cwmbran Roofing Contractors Thorteck Ltd believe the roof is probably the single most exposed face of any exposed structure. 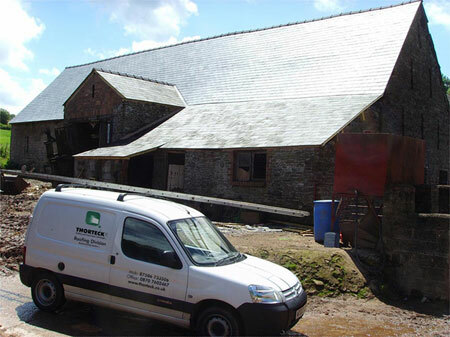 At Thorteck Roofing based in Cwmbran, our dedication to quality and customer satisfaction is unrivalled. From the survey to the completion of the project, we endeavor to minimise disruption to our clients whilst maintaining the highest standards in workmanship. Based in Cwmbran we offer a competitive rate for slating tiling and lead work as well as traditional felt roofing.